My name is George Padilla I am a State Licensed Roofing Contractor and owner of S.O.S. Roofing Company. I would like to introduce you to S.O.S. 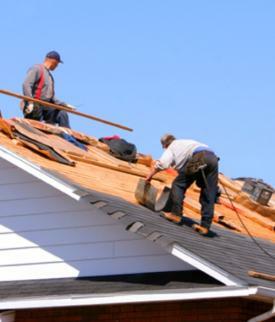 Roofing Company I would also like to take this opportunity to thank you for viewing our website and hopefully considering our company in giving you a free estimate on your roof. We have been installing quality roofing products in the bay area for 37 years and are an active A+ accredited member of the Better Business Bureau and we are also very proud to announce that we are Certified Installers of the GAF Shingles. In February 2014 we were awarded The Heritage Registry Whos's Who in Business for outstanding service and achievement in the roofing industry. We are Licenced, Bonded, and Insured Carrying Liability andWorkman's Compensation Insurance. We GUARANTEE nothing but the best quality in service at a very fair price. After all, We are The Company That Cares! Gaf Premium Laminated Fiberglass Shingles. Product Warranty: Life Time Class A Fire rated. Certatineed Presidential Shake and T-L Fiberglass Shingles. Product Warranty: Life Time. Class A Fire rated. IKO: Cambridge. Architecture Shingles. Product Warranty: Limited Life Time. Class A Fire rated.